According to a postscript, this potentially interesting but indifferently executed first novel was &quot;inspired&quot; by documents recently discovered in the Ottoman Imperial Archives in Istanbul. In the late 15th century, narrator Captain Barak suddenly finds himself a secret agent for the Ottoman Empire, working for the head of Imperial Security and, indirectly, the sultan himself. Upon the death of the old sultan, a power struggle erupts between his two sons. Bayezid, the eldest and rightful heir, takes the throne, but Jem, his younger brother (and his father's choice as successor), soon raises an army to challenge the new ruler. 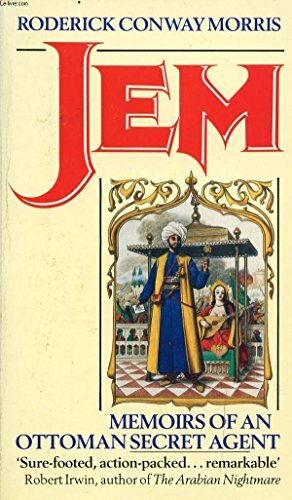 When a defeated Jem disappears among the infidels to the west and is rumored to be lending his name and support to another Christian crusade, Barak is assigned by his superior, the mysterious Kivami Bey, to locate the missing prince. While Barak is certainly no James Bond (at one point, a band of broom-wielding nuns rescues him), he manages more than his share of intrigue and adventure during his clandestine undertakings. Readers caught up in Morris's depiction of an ancient time may be pleased; others may find the pace of this putative thriller excruciatingly slow. <br />Copyright 1989 Reed Business Information, Inc.